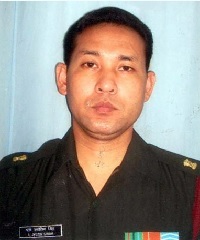 Major Laishram Jyotin Singh hailed from Manipur and was born on May 14, 1972, to Shri Laishram Markanda Singh and Smt Ibeyaima Devi. Maj Jyotin was the third among the four highly accomplished siblings with two sisters and a brother. His sisters Bina Kumari Devi and Ragini Devi work as a doctor and a lecturer in mathematics respectively. They are both married and live in Imphal. His youngest brother Boeing, is a professor at I.I T. Guwahati. 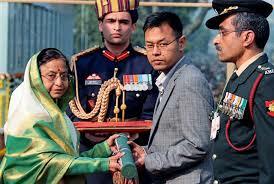 Maj Jyotin had completed his schooling from Manipur Public School and chose his career in medicine. In the year of 1996, he graduated from Regional Institute of Medical Science at Imphal. After a stint of medical residency, he acquired a post-graduate diploma in sports medicine from the reputed Baba Fareed Health Science University, Patiala in the year 2001. He was commissioned as the short service commissioned officer in the AMC branch of the army on 15th February 2003 and was later given permanent commission on 26th April 2007. During his short service career, Maj Jyotin served in a medical unit of the Border Roads Organization, General Reserve Engineering Force in a high altitude area. Maj Jyotin was also an excellent football player and body-builder. On 9th February 2006, he was posted to Military Hospital, Agartala where he proved to be an asset for the hospital. 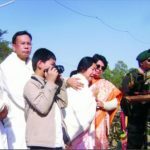 Maj Jyotin worked very diligently and was always ready for any task even beyond the call of his regular duty. While working as a medical officer at the military hospital he also provided specialist services to the Government Hospital and College. On 13th February 2010, Maj Jyotin went on deputation to the Indian Medical Mission at Kabul in Afghanistan. After thirteen days of his landing at Kabul, on 26th February 2010 at 06.30 hours, the Noor Guesthouse in Kabul where he was staying was attacked by heavily armed and determined terrorist suicide bombers. Haneef, the Afghan owner of the Guesthouse was shot dead by one of the terrorists. After detonating a Suicidal Vehicle Borne Improvised Explosive Device (SVBIED) the three security guards at the perimeter also got killed. The terrorist fired bursts of rounds from an AK-47 into the individual rooms and started throwing hand grenades. In the melee, five unarmed officers took shelter in one of the rooms in which a grenade was lobbed and the fire on its roof spread consequently to the bathroom where another group of five officers was sheltered. 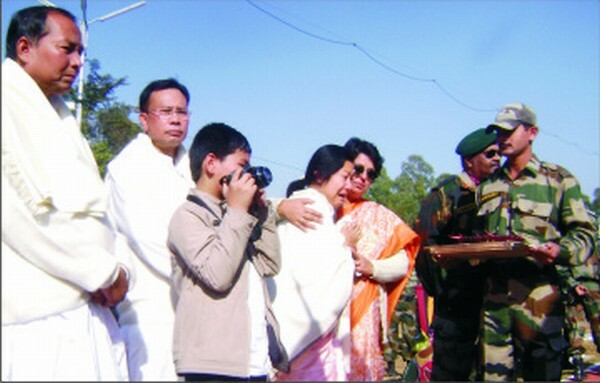 On hearing shouts of the five officers, Maj Laishram Jytoin Singh, unmindful of his own safety, crawled out from his room and charged with bare hands at the bomb-jacketed terrorist and pinned him down to ensure that he could no longer lob more grenades or fire his AK-47 at the officers cornered in the burning room. He continued to grapple with the lethally armed terrorist and did not let him go till the latter panicked and detonated his suicide vest which killed him instantaneously. Unfortunately, Maj Jyotin Singh also got severely burnt and succumbed to his injuries. Maj Jyotin displayed gallantry and commitment beyond the call of his duty and laid down his life in the highest traditions of the Indian Army. 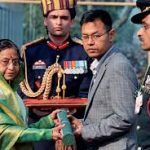 Maj Laishram Jytoin Singh was conferred the country’s highest peacetime gallantry award, “Ashok Chakra” posthumously for his fearless act, fighting spirit, and supreme sacrifice. Major Laishram Jyotin Singh was deployed to Kabul as part of Indian Medical Mission team. At 0630 hours on 26 February 2010, a guarded residential compound housing six army medical officers, four paramedics and two other army officers were attacked by heavily armed terrorists and suicide bombers. A heavily armed terrorist suicide bomber, after detonating a Suicidal vehicle Borne Improvised Explosive device resulting in the death of three security guards, entered the compound to kill the survivors. The terrorists proceeded to fire bursts of Kalahnikov rounds into the individual rooms and threw hand grenades. In the melee, five unarmed officers took shelter in one of the rooms which was subjected to grenade attack and the fire on its roof spread consequently to the bathroom where the five officers were sheltered. On hearing shouts of the five officers, Maj Singh charged with his bare hands at the armed terrorist and pinned him down to ensure that the terrorists could no longer lob more grenades or direct fire at the officers cornered in a burning room. 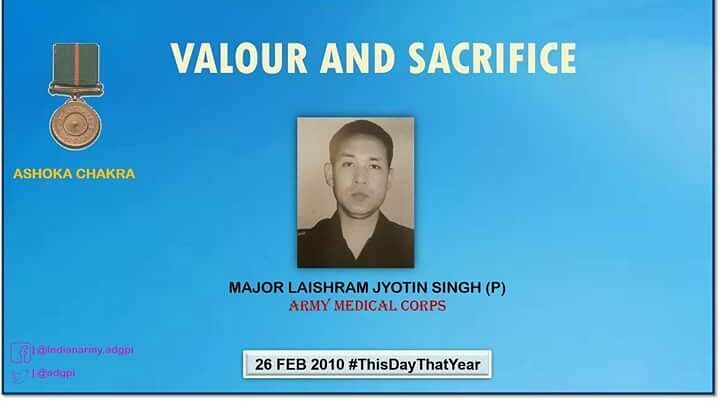 He continued to grapple with his suicide vest resulting in the instantaneous death of the terrorist and martyrdom of Major Laishram Jyotin Singh. He gave up his life for the sake of his colleagues. 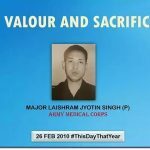 Major Laishram Jyotin Singh thus displayed a exemplary courage, grit selflessness and valour in the face of a terrorist suicide bomber and made the supreme sacrifice. Big salute to the brave heart who did what he did for his duty may his soul rest in peace … proud of you sir.